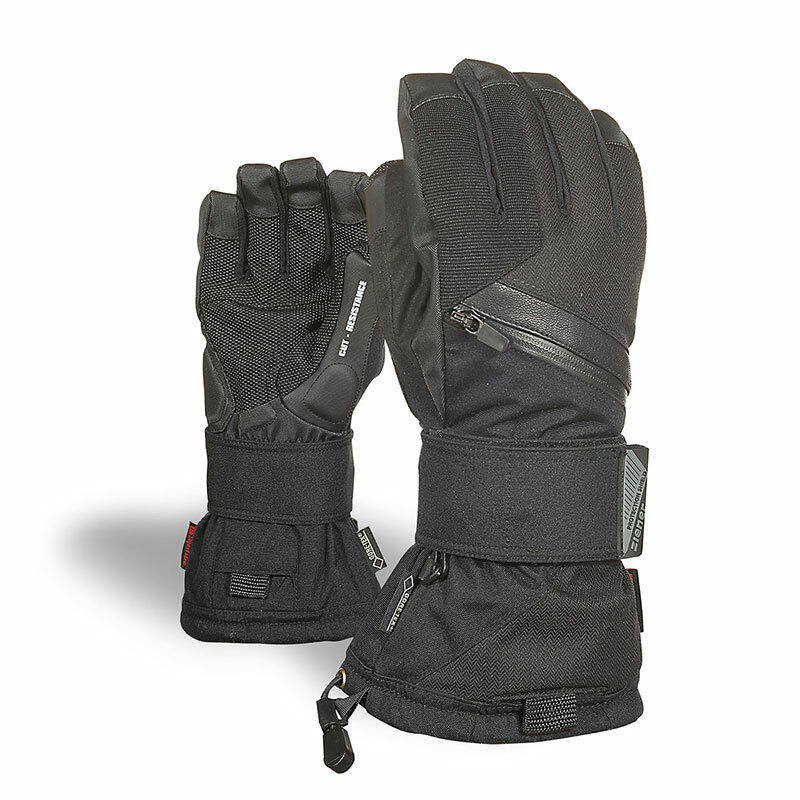 Extra-hard-wearing snowboard gloves MARE GTX® with GORE-TEX® inserts are permanently waterproof, windproof and breathable. Ergonomically pre-shaped, removable wrist protectors for the palms and backs of hands ensure that they are comfortable to wear. 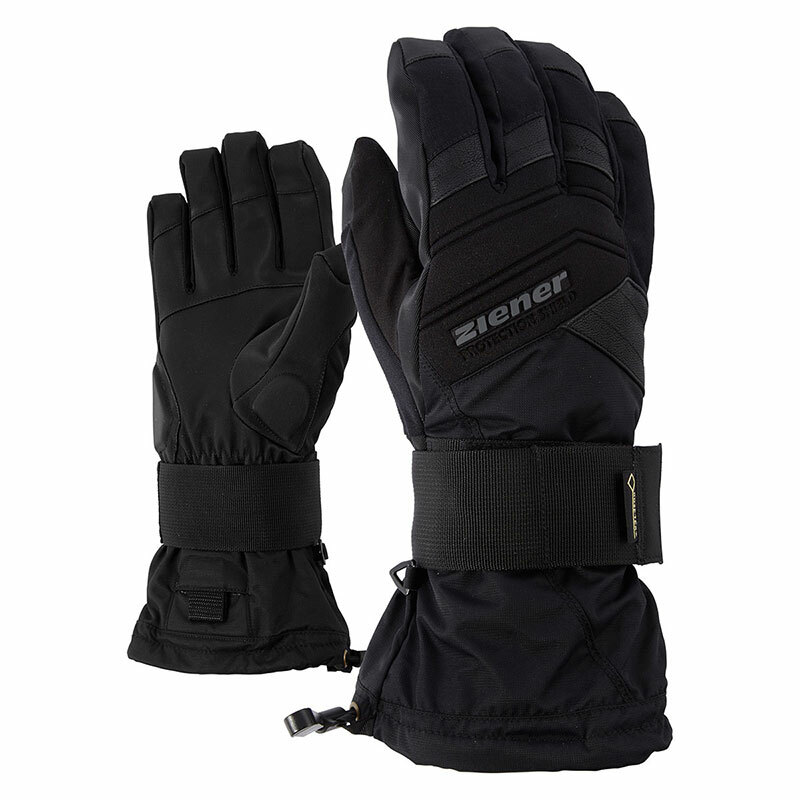 The gloves are fastened using extra-wide Velcro fasteners and the cord-lock system, which can be pulled tight using just one hand. 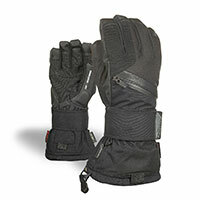 Sturdy palm padding and fingertip reinforcements stop edge cuts when carrying boards. 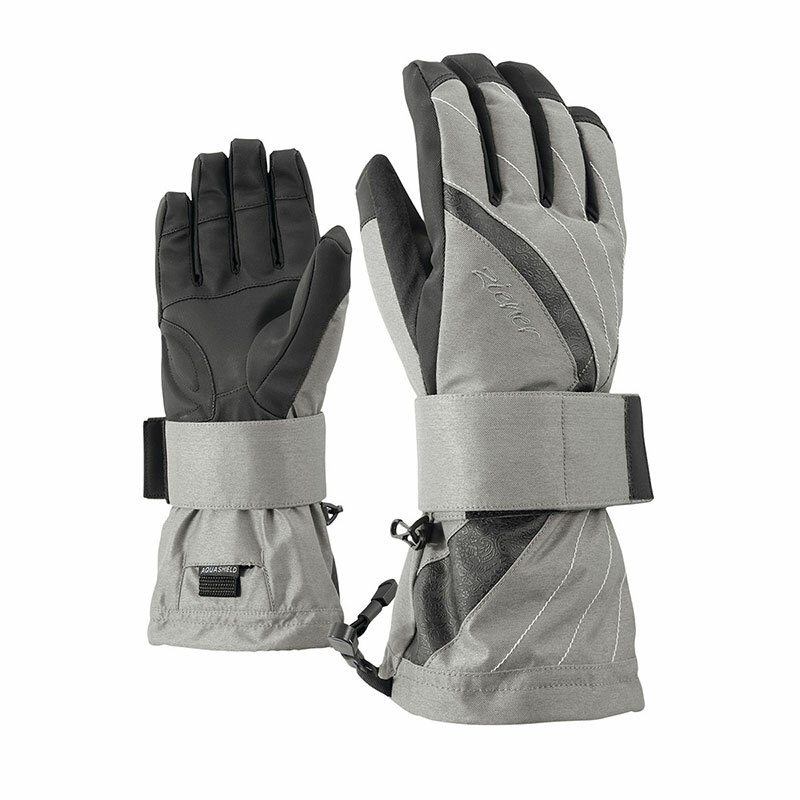 The palms also have extra sturdy, cut-resistant Super Fabric® material. The backs of the gloves have waterproof zipper pockets. The leashes provide additional fastening on the wrists. Extremely abrasion-resistant material to protect from border cuts.